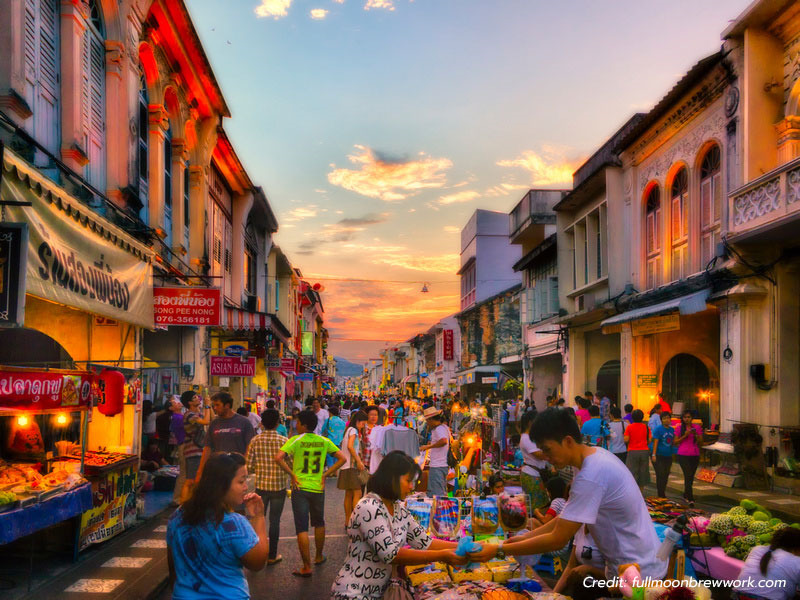 You may have come for the lights and the glitz of Patong, but the Old Town is definitely worth a visit. There are old buildings and beautiful architecture housing adorable shops and cafes. Need photos to update Instagram? 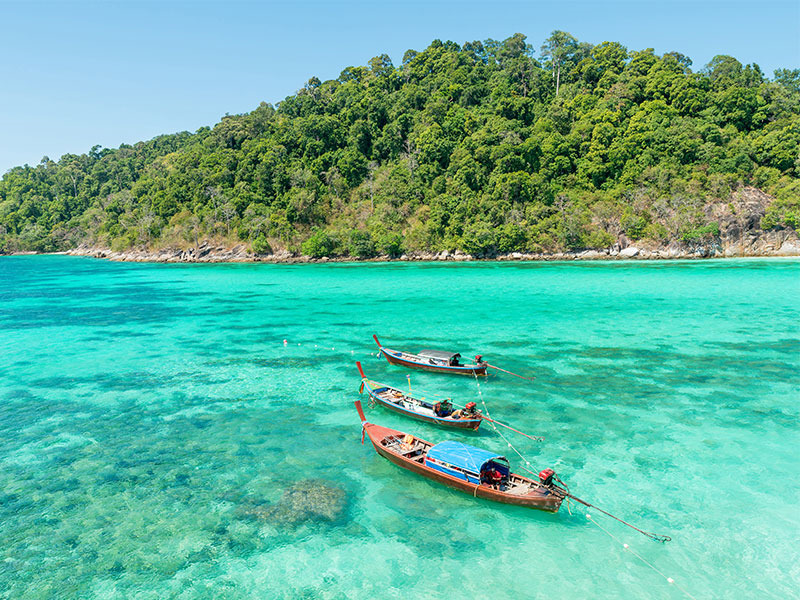 This is the perfect place to experience a slower side of Phuket. Thailand is primarily a Buddhist country, and there is no shortage of temples and statues in Phuket to remind you of that. 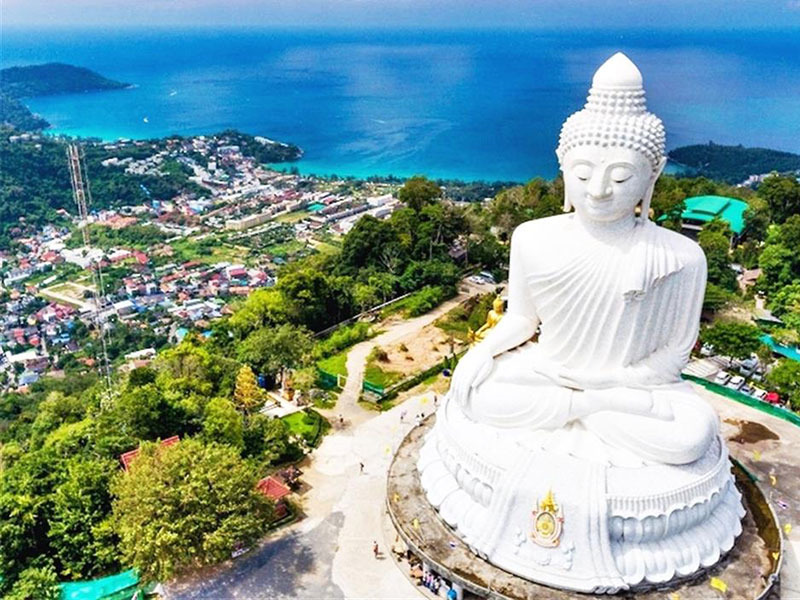 One particular statue definitely worth visiting, however, is Phuket’s Big Buddha. It is an impressive 45-meter-tall white statue that you can admire from the base. If you can, however, we recommend that you make the walk to the top to admire it up close. Besides the look at the statue itself, you’ll get to take in the views of the island from the top. 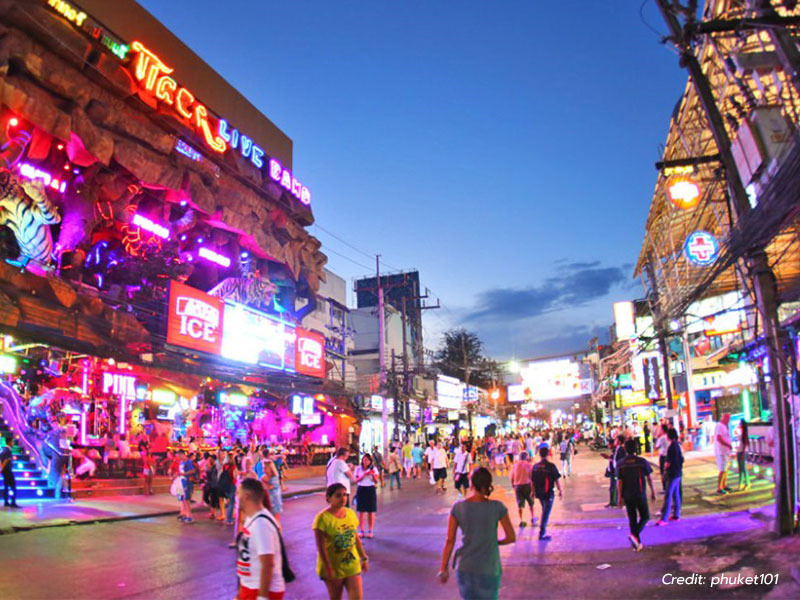 There are plenty of things to do on Bangla Road. Bars and pubs line the streets, and you'll certainly find quite a few girls outside asking you whether you'd like to come in. Whether it's the girls or the cheap beer that attracts you, you'll definitely have a memorable night here. Whether you find the experience enjoyable or not depends on you, but it'll definitely be something to remember. 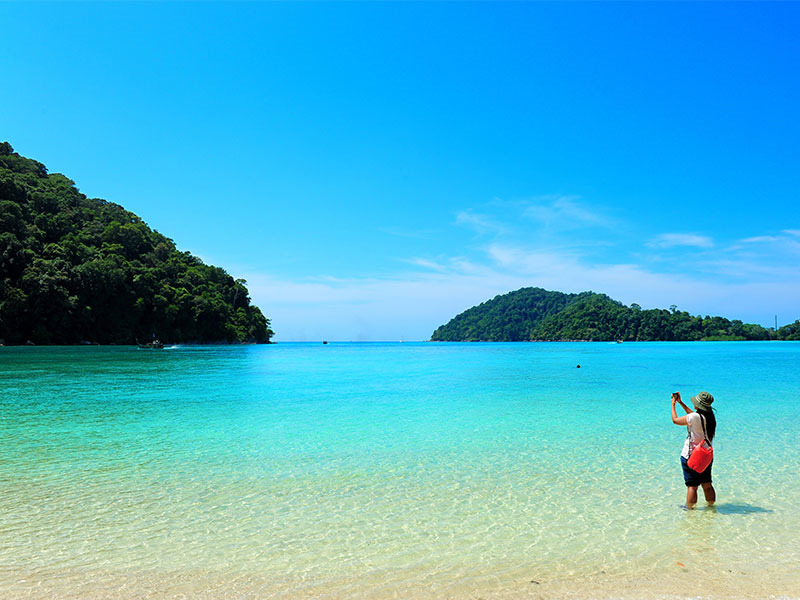 Freedom Beach is one of Phuket’s quieter islands. it's a little bit harder to get to compared to some of the more popular ones, but it's definitely worth the experience as you'll find waving palm trees, calm waters, and no loud beats. If you're one for a calmer beach experience, Freedom Beach is the place for you. Love shopping for cheap clothing and knick knacks? This market is the place for you. 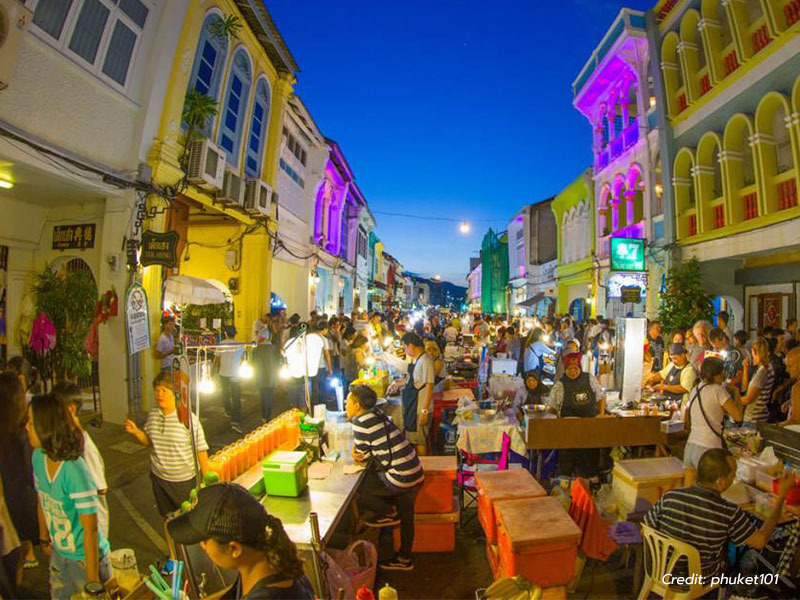 It’s the perfect place to while the night away shopping and eating street snacks. You can find everything from cheap perfume to hand-crafted decor here, so come armed with small change and your bargaining skills! Crystal clear waters and clean, white sand are two recognizable features of Surin Beach. There are plenty of fancy restaurants and bars as well, so bring your partner here for a meal and a walk on the beautiful beach. 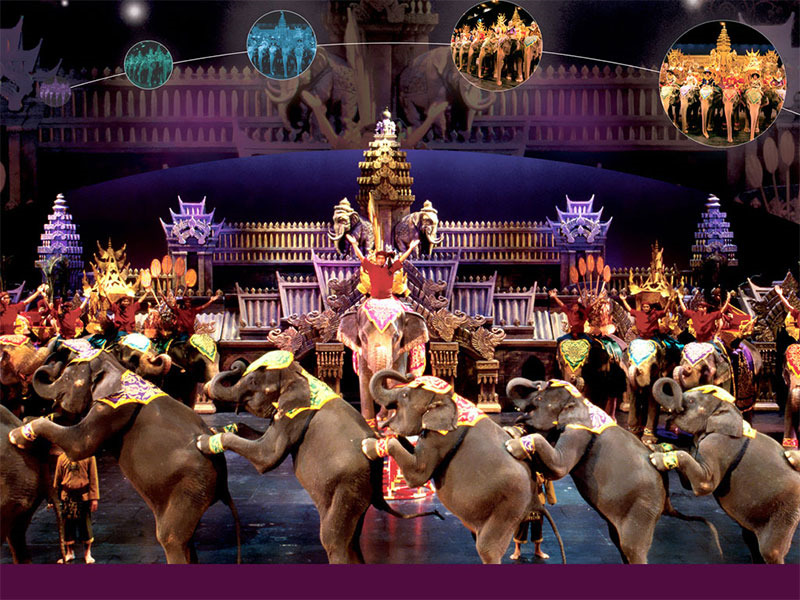 Although it sounds like a theme park based on a soda, Fantasea is actually Phuket’s most well-known cultural shows. There is a theme park and lots of places to eat as well, so be sure to set aside an entire evening to be amazed by the production value that this complex offers. Bring a learning attitude with you - you’re sure to pick up tons of things about Thai history. 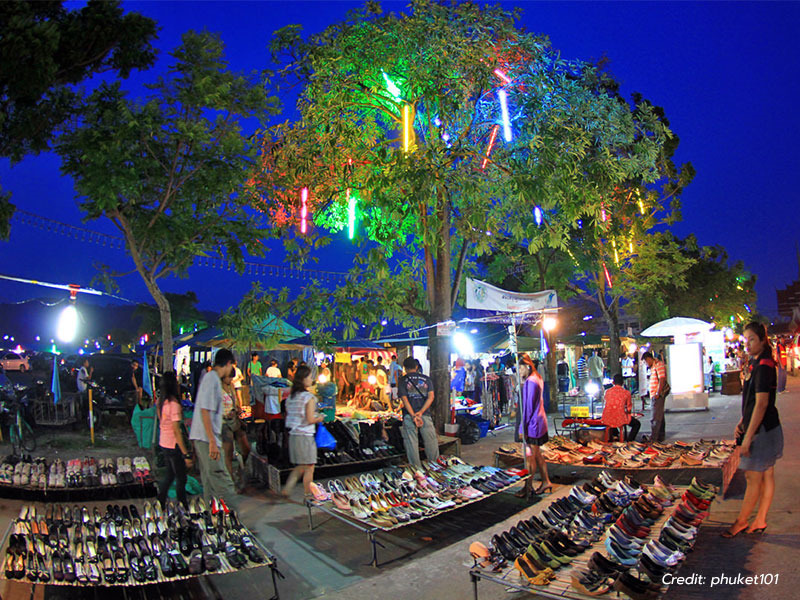 Another market worth visiting, Phuket Walking Street is one of the most well-known ones around. It’s a great place to get your fill of the local food and get pretty Instagram photos with the gorgeous Chinese-style lights and structures. Thailand has quite an extensive history of elephant abuse. Several tourist attractions have a few on hand to perform and to offer rides. 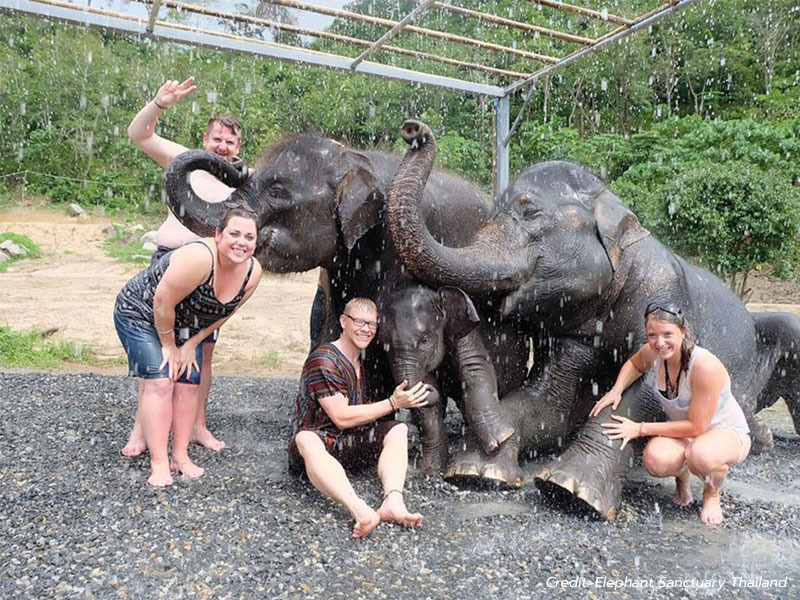 Phuket Elephant Sanctuary is not one of these. They are here to educate people and teach them how to care for these incredible creatures. There are several rescued elephants here being rehabilitated. Visitors are welcome to come learn about the history of elephants in Thailand and watch them frolic around in their homes. Don’t come expecting a ride, but do consider bringing a donation of money or bananas. This temple is very different from the many other Buddhist temples you may have seen. This is because it isn’t a Buddhist temple at all, but one devoted to the Chinese gods. It is a beautiful site, with intricate architecture. 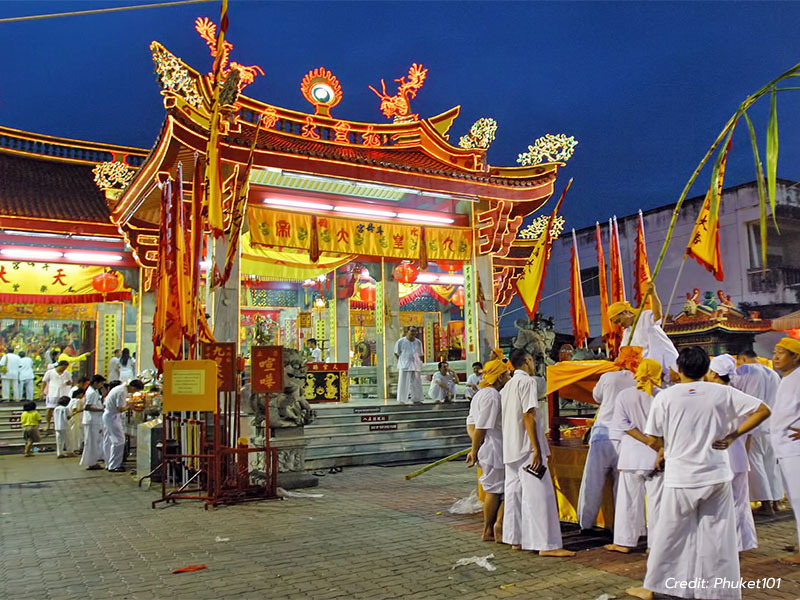 Those who are visiting during the Vegetarian festival are in for a (scary) treat - devoted followers pierce themselves with items in this temple during this festival. Not a fan of lying on a beach all day? 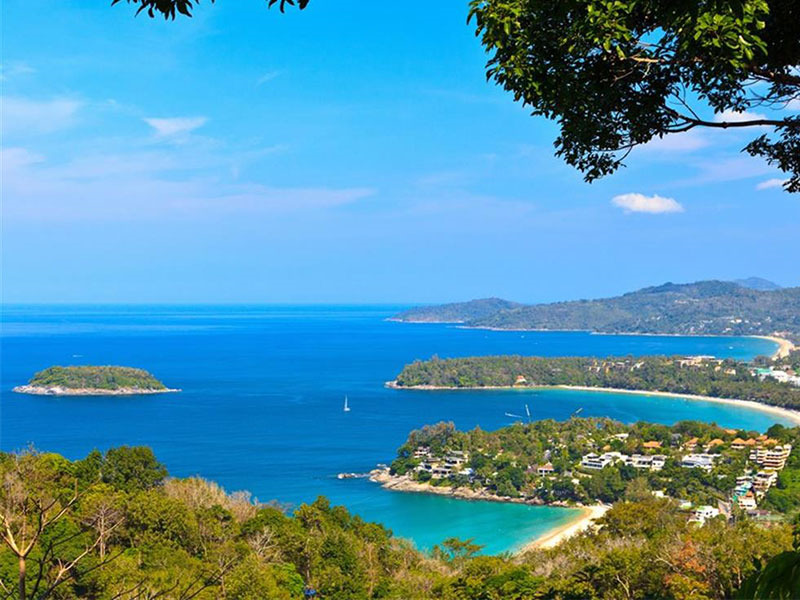 Head to Karon Viewpoint for some amazing views of Kata Noi, Kata, and Karon bays. It’s truly an incredible sight, and you’d definitely be missing out if you didn’t stop by for a visit. Are you a diving enthusiast? If so, make sure you plan a couple dives while you’re in Phuket. Whether you want to explore gorgeous coral or shipwreck sites, there are places for you. 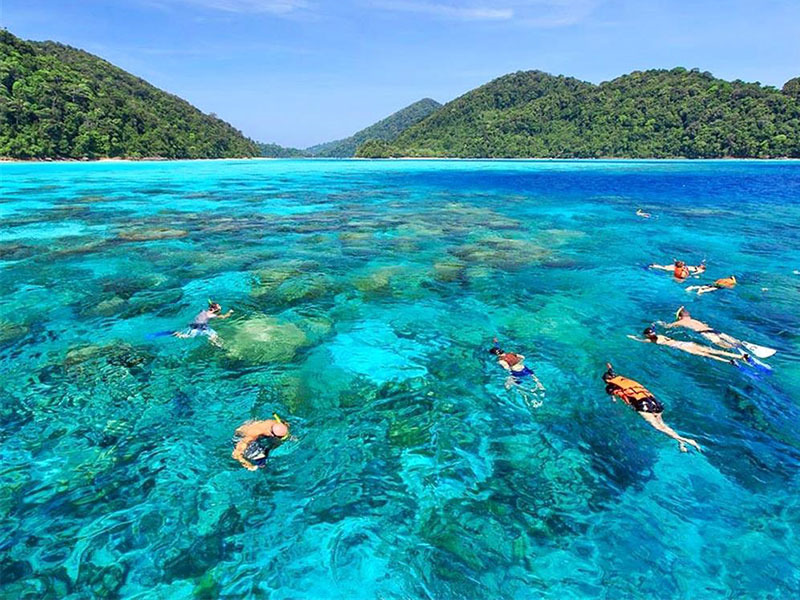 There are even dive trips and tours available that you can join in on. Similan Islands is just close by, and you shouldn’t miss the opportunity to dive there. It isn’t only elephants that are being rehabilitated on Phuket Island. 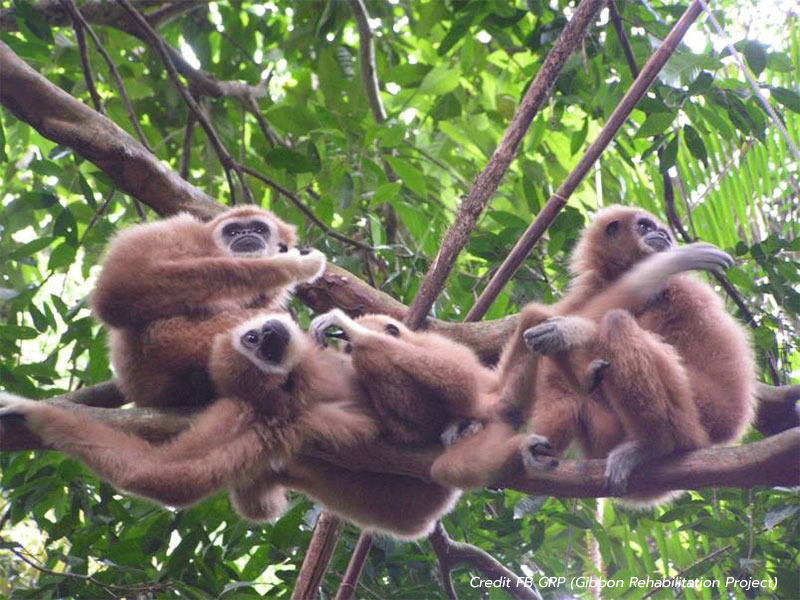 A team of dedicated people run the Gibbon Rehabilitation Project, rescuing and caring for injured gibbons before releasing them when they are ready to live in their natural habitats again. There is no entry fee, and people are more than welcome to visit for an educational experience and a chance to observe these fascinating creatures. What’s a trip to Thailand without a couple visits to Buddhist temples, right? 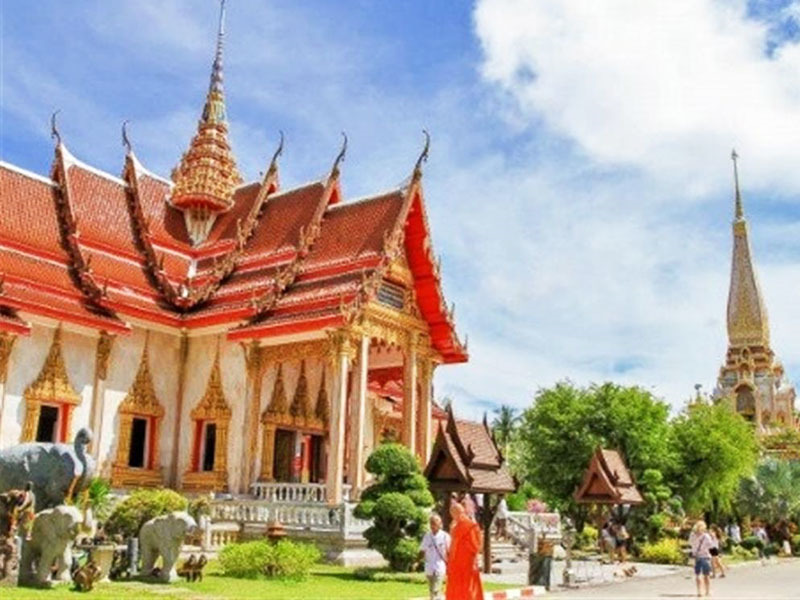 Wat Chalong is definitely one that you want to visit. There is a 60-meter-tall chedi that towers over the area, containing a splinter from the bones of Buddha. It is built intricately, and you will enjoy walking along the walls and looking at the many paintings that are there to honor his life. When you visit Patong, don’t forget to stop by the Simon Cabaret Show. It is full of ladyboys in glamorous outfits singing, dancing, and putting on a show. It will definitely be something to remember and something to tell your friends about back home. 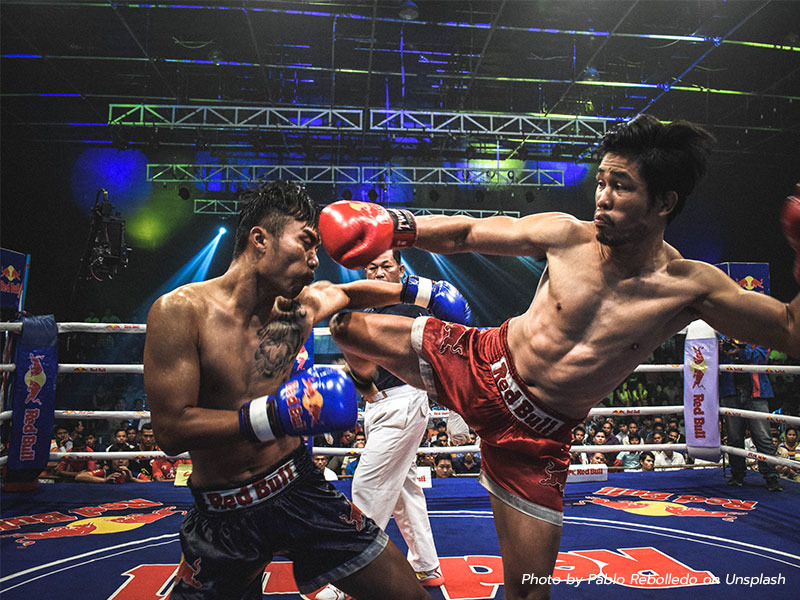 Thailand is well-known for its national boxing sport. It all starts with a dance ritual honoring teachers, that is quite fascinating in itself. The real fight involves two competitors using their fists, their legs, their elbows, and knees to gain advantage over each other. Even if you aren’t a martial arts enthusiast, you’ll enjoy watching one of these. 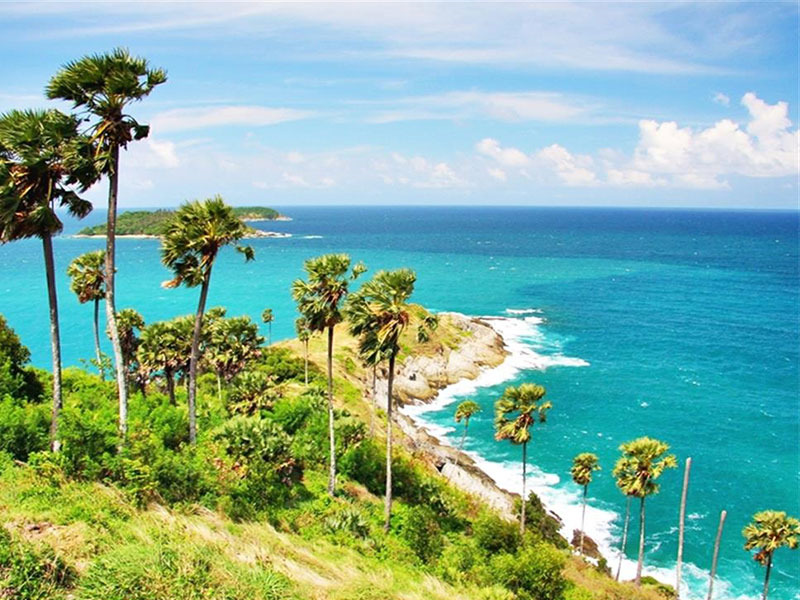 Many people claim that Promthep Cape is the spot to enjoy the most beautiful views over Phuket. Bring your loved one and spend a romantic evening watching the sun go down into the sea, spreading those beautiful colors and rays of light all around. It’s gorgeous and very much like one of those alluring videos you see advertising a holiday in Thailand. Don’t miss it!